ESM = eat, sleep, mingle a reference to what the Racers used to be able to do at the pit stops. There's no longer any guarantee that teams get to do any or all three activities at pit stops any longer. Kent and Vixyn said in episode 4, it's been days since they saw other teams so probably ESM is no longer in play, though the statement could be a figure of speech only meant to emphasize they are so much in the back of the pack. So, from the preview it looks like the W-Turn is by a hospital of some kind? the Kunming Red Cross Hospital. Now to find whatever random place near it is housing a W-Turn...(though I think it might be a satellite office of the hospital itself). Preview CAPS! 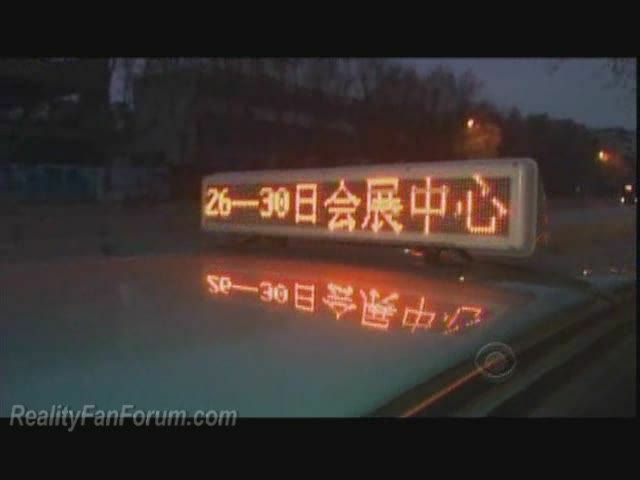 WHo can translate all the taxi light location clues?? Preview up in post 2! The 2010 Southwest China (Kunming) International Auto Show has kicked off in Kunming International Convention and Exhibition Center on November 26th and will last till November 30th. Visitors may find a desirable vehicle and enjoy luxurious vehicles on the show. I think it's just the advertisement on the cabbies, not part of our locations? It looks like Margie and Luke are definitely planning to U-Turn somebody. It's unclear.. i'll go look at the video now. I can only see two words "Er Lou" which means Second Floor. 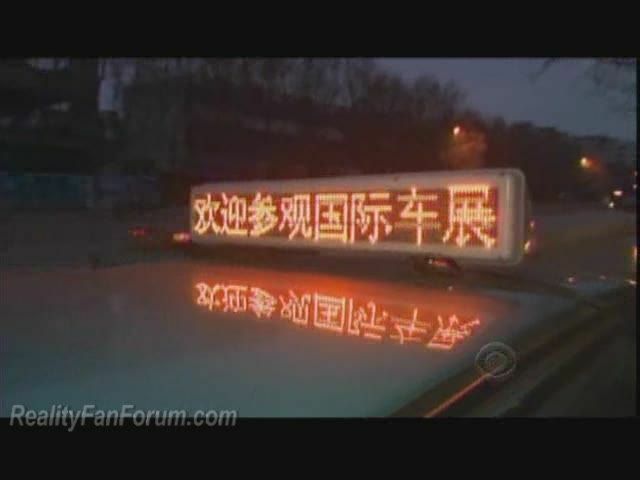 It says Wu Di Gao. Which means Invincible Cream (some sort of like a medicine meant for application on wounds or whatsoever). I think that could be at the hospital beside the U-TURN, and Cara and Jaime looking for the W-TURN but the W-TURN happens to be on the outside of the hospital grounds. Yes/No? Okay, Margie and Luke seemed to be directly outside the hospital ground parking area. Let me go google map or what. Anything on taxi cap # 15?? I looked up Google Maps they called it the Kunming No. 1 People's Hospital. Can't see it clearly.. seems to be english for me!? I'm looking at area near the hospital to identify the W-TURN. Don't seem to find any good pictures indicating any buildings beside the hospital. 第一人民医院 is the chinese name of the hospital. Use it for google search and better images will appear rather than using the hospital's name with with english translation. I don't understand. Why is it dark during the U-Turn? Isn't this leg supposed to be in the morning (hence, J/C's pitstop picture in daylight)? I'm lost.. i'm going off now for my lessons.. Hopefully i can look deeper later on. That hospital is so close!! They got to Kunming about 5am so it's dark...Madjoe wonder they may get detour clue at Dounan flower market,and went to golden horse got route info...since they got pitstop at least 5hrs later after W-turn,looks like the RB place is far from downtown...we will say that Lunan Stoneforest is very possible. Looks like Margie and Luke are first to the U-Turn and are ready to U-Turn somebody. Obviously Jaime and Cara get U-Turned by a second team. 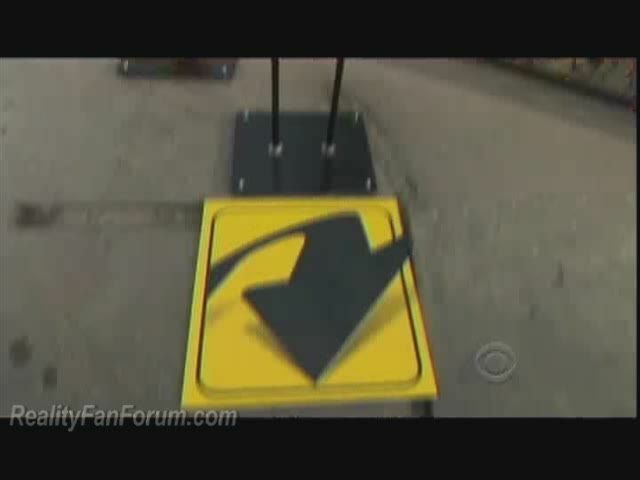 I must have missed that part in the promos about Ja/Ca getting U-Turned. I will speculate though, that K/V use their U-Turn as an effort to save themselves from their dire circumstances. Nobody really knows whether or not Jaime and Cara get U-Turned; I'm just assuming so based on their late arrival at the Pit Stop. Before I saw this promo, I was also thinking that Kynt and Vxysin would exercise U-Turn power over another team to save themselves, namely over Jaime and Cara. Looks like you've done some good work, Joab, Neobie, and Zack! I'm not sure if the command centre is within the plot itself, but here are the boundaries of the plot, about 500m across and 500m wide. If those teams are smart enough, one of them should try to 'flush' the Express Pass that Gallory have by using U-turn on them...fortunately I don't think they are, so go team Gallory!! !